Many may remember Daniel Inouye, the late Senator from Hawaii, and wondered how he lost his right arm. What follows is an extraordinary account of courage under fire and dedication to country. Inouye was born in Honolulu, Hawaii while Hawaii was still a territorial possession of the United States. Political life on the islands was dominated by the white business community, particularly the sugar companies. Although the Inouye family placed a strong emphasis on education as the route to success, that route led through a school system where opportunities for Asian American students were severely limited. In high school Inouye volunteered at the Red Cross Aid Station having decided he would pursue a career in medicine. He was 17 when Japan attacked the U.S. naval base at nearby Pearl Harbor, and as a medical aide, he was among the first to treat the wounded. 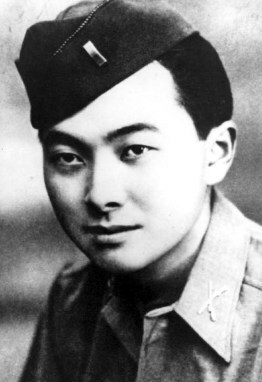 Even though Japanese Americans on the mainland were being interned by the U.S. government as potential security risks, Daniel Inouye and his peers were eager to serve their country. At first the War department classified the Nisei (American-born children of Japanese immigrants) as “enemy aliens” unfit for service. But after Inouye and others petitioned the White House, the Army accepted Japanese American men for service in segregated units. 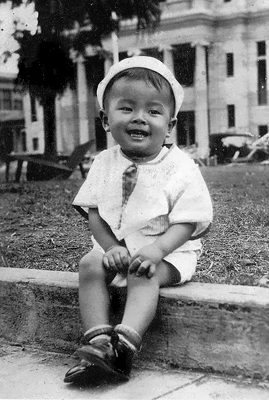 By this time, Inouye was enrolled in pre-medical studies at the University of Hawaii. 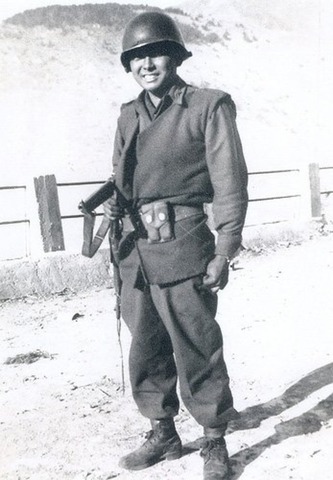 As a pre-med student and an aid station worker, he was exempt from military service, but he quit his job and dropped out of school to join the all-Nisei 442nd Regimental Combat Team. Inouye distinguished himself in basic training, although he struggled to reconcile the violence of war with his Christian beliefs. Within his first year he was promoted to sergeant and became a platoon leader. He served in Italy in 1944 during the Rome-Arno Campaign before his regiment was transferred to the Vosges Mountains region of France where he spent two weeks in the battle to relieve the “Lost Battalion”, a Texas battalion of the 141st Infantry Regiment that was surrounded by German forces. Inouye was shocked to learn how quickly he became accustomed to killing enemy soldiers no older than himself. “That’s one of the horrors of war, that you can train a person, train them to hate, train them to kill.” He was promoted to second lieutenant for his actions there. At one point while he was leading an attack, a shot struck him in the chest directly above his heart, but the bullet was stopped by two silver dollars he happened to have stacked in his shirt pocket. He continued to carry the coins throughout the war in his shirt pocket as good luck charms, until he lost them shortly before the battle in which he lost his arm. On April 21, 1945, Inouye was grievously wounded while leading an assault on a heavily defended ridge near San Terenzo in Tuscany, Italy. The ridge served as a strongpoint for the last and most unyielding line of German defensive fortification in Italy. As he led his platoon in a flanking maneuver, three German machine guns opened fire from covered positions 40 yards away, pinning his men to the ground. Inouye stood up to attack and was shot in the stomach. Ignoring his wound, he proceeded to attack and destroy the first machine gun nest with hand grenades and his Thompson submachine gun. When informed of the severity of his wound, he refused treatment and rallied his men for an attack on the second machine gun position, which he successfully destroyed before collapsing from blood loss. The remainder of Inouye’s mutilated right arm was later amputated at a field hospital without proper anesthesia, as he had been given too much morphine at an aid station and it was feared any more would lower his blood pressure enough to kill him. Although Inouye lost his right arm, he remained in the military until 1947 and was honorably discharged with the rank of captain. At the time of his leaving the Army he was a recipient of the Bronze Star Medal and the Purple Heart. Inouye was awarded the Distinguished Service Cross for his bravery in this action. At the time, it was clear that Inouye’s exploits, and those of other members of the 442nd, merited the Medal of Honor, the nation’s highest military decoration, but no Asian American received the award at war’s end. On his return to the States, Inouye and other minority veterans were subjected to much of the same discrimination they had met before the war. Inouye committed himself to the cause of equal rights for all Americans, and for all residents of Hawaii as fully enfranchised American citizens. In 2000 his Distinguished Service Cross was upgraded to the Medal of Honor by President Bill Clinton. While recovering at Percy Jones Army Hospital from war wounds and the amputation of his right forearm, Inouye met future Republican presidential candidate Bob Dole, then a fellow patient and they remained lifelong friends. While at the same hospital, Inouye also met future fellow Democrat and Senator Philip Hart, who had been injured on D-Day. Dole mentioned to Inouye that after the war, he planned to go to Congress; Inouye beat him there by a few years. The loss of his right arm had ended Inouye’s dream of being a surgeon, so when he returned to the University of Hawaii he pursued studies in government and economics and entered George Washington University Law School in Washington, D.C., receiving his law degree. Returning to Hawaii, he took up the practice of law and then served as Deputy Public Prosecutor for the City of Honolulu. In 1958 he was elected to the territory’s Senate. With statehood imminent, Inouye was elected to serve as Hawaii’s first U.S. Representative; he took his seat in Congress on August 21, 1959, the day Hawaii became a state. In 1962 Inouye was elected to the U.S. Senate where he served until 2012. In 2009, Senator Inouye was appointed to chair the Senate Committee on Appropriations, widely considered the most powerful of senate committee assignments. The following year, he was elected to his ninth term in the United States Senate. With the death of Senator Byrd in 2010, Inouye became the Senate’s senior member, and in keeping with Senate tradition was named President Pro Tempore of the Senate. This placed Senator Inouye third in line of succession to the presidency, following the Vice President and the Speaker of the House. The grandson of immigrant plantation workers, the young man who had been barred from service as an “enemy alien,” had won his nation’s highest honors and risen to the heights of political power. 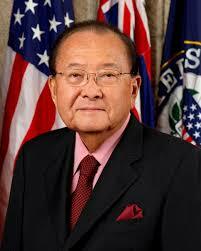 Sen. Daniel Inouye died in 2012 at the age of 88, leaving behind a legacy of service, duty and courage. 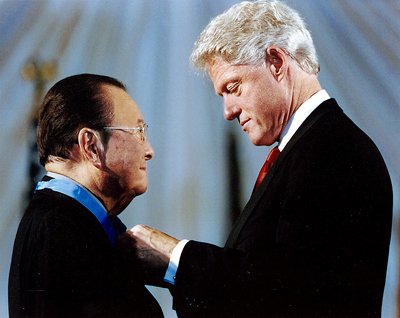 His office reported that his last word was “Aloha.” After his death, Daniel Inouye, who had already received the nation’s premier military decoration, was awarded its highest civilian honor, the Presidential Medal of Freedom.